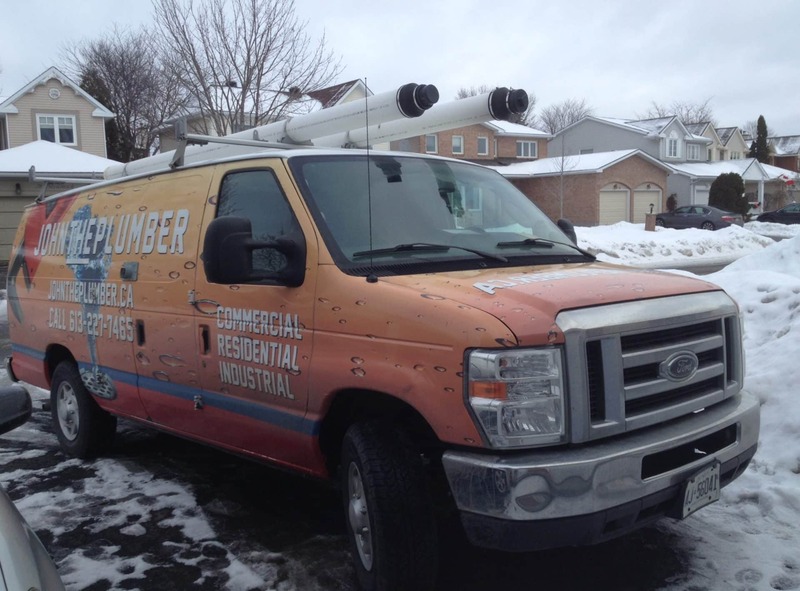 Ottawa Plumbers Get The Job Done Right The 1st Time. Don’t trust just any old JOHN to be your plumber. Trust John The Plumber and his team of licensed plumbers to deal with any and all of your plumbing related concerns in Ottawa and surrounding areas. John The Plumber is your number 1 resource for getting this done correctly. JOHN THE PLUMBER, OTTAWA’S PREMIER PLUMBER. CALL 613-227-7465 For Fast Plumbing Repair, Hot Water Heaters, or Drain Unblocking Services. Proudly providing plumbing services to Ottawa, Gloucester, Bells Corners, Kingston, Orleans, Kanata, Barrhaven, and Manotick. John The Plumber was created because as a plumber I was sick of seeing honest working people be let down and taken advantage of in this industry. John the Plumber brings the best plumbers together, to ensure you have a reliable plumbing experience without losing the quality. Each John The Plumber employee is screened carefully to guarantee you get what you would expect from a plumber, not to mention we have the best plumbing warranty in town. Now offering Gas Hot Water Heater Installation. Don’t trust just any old JOHN to be your plumber. Trust John The Plumber and his team of licensed plumbers to deal with any and all of your plumbing related concerns in Ottawa and surrounding areas. We have every necessary tool, and our vans are fully stocked so that our plumbers will not take any more of your time than necessary to resolve your plumbing emergency. We pride ourselves on our quality workmanship, as well as our commitment to customer service. Some of the services a plumber would offer are submersible pumps, bathroom plumbing rough ins, blocked drain and clogged drain issues, toilet repair, sink repair, faucet repair, faucet installation, hot water tank repair, electric hot water heater, appliance installation, dishwasher installation, kitchen plumbing, new bathroom plumbing, drain re-piping and re-pipe, plus much, much more. 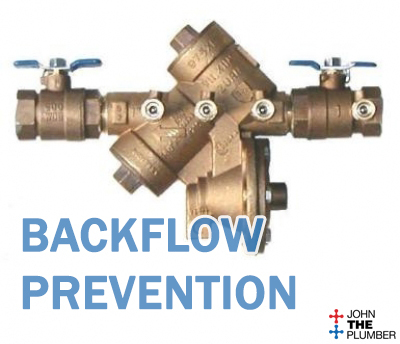 The Backflow Prevention Program assures that devices are installed to prevent contaminated water from flowing back into the city’s water supply. Ensuring public safety and long-term safety of shared water resources. Many people are unaware that backflow conditions can jeopardize system water quality, posing a health risk to consumers drinking water from the system. In most cases, drinking water flows from the City’s distribution system into a property’s private water system. Backflow happens when there’s a reversal of water flow, usually due to changes in water pressure. This ‘backflow’ can cause pollutants to enter the drinking water system. Make John The Plumber your local plumbing expert, Contact us today or call 613-227-7465.